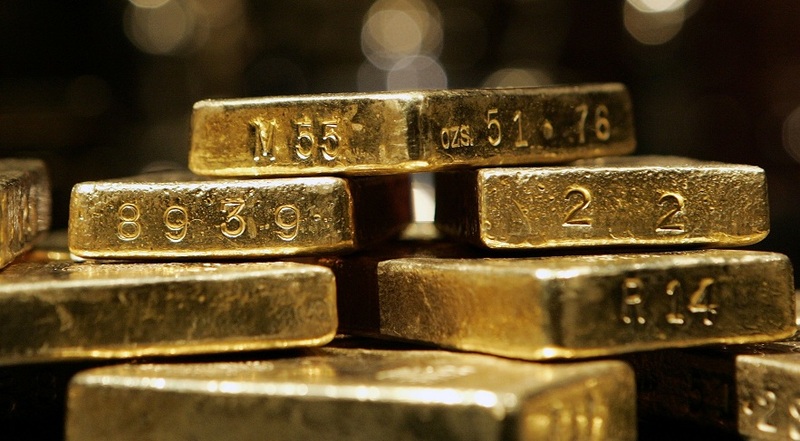 NEW YORK/LONDON – Gold was little changed on Friday, after falling to a three-week low, on short-covering at the end of the week and caution ahead of crunch talks on Greece this weekend, while concerns over the longer-term outlook for the metal provided price pressure. Greece failed again to clinch a deal with its international creditors on Thursday, setting up a last-ditch effort on Saturday either to avert a default next week or start preparing to protect the euro zone from financial market turmoil. Spot gold was down 0.1 percent at $1,171.55 an ounce at 1407 GMT, after falling to $1,168.25, its lowest since June 5. It was on track to close the week down 2.2 percent. U.S. gold futures for August delivery settled up $1.40 an ounce at $1,173.20. “It’s just drifting higher,” said one U.S. trader, adding that end-of-the-week short-covering combined with a lack of offers as the end of the quarter approaches, helped prices turn slightly higher. Signs of possible agreement soon between Greece and its creditors steadied world stock markets and sent U.S. bond yields to nine-month highs by curbing demand for safe-haven U.S. debt. Expectations that U.S. interest rates will rise for the first time in nearly a decade this year, lifting the U.S. currency and boosting the opportunity cost of holding non-yielding bullion, have pressured gold, keeping it in a range. Gold has held largely between $1,160 and $1,230 since mid-March, struggling to break higher despite an ostensibly bullish rise in tensions over Greece. It has drawn some support from a rise in holdings of gold-backed exchange-traded funds, which issue securities backed by physical metal, this week after outflows earlier this year. Holdings of the biggest gold ETF, SPDR Gold Shares, rose 6.9 tonnes on Thursday, their biggest one-day increase since Feb. 2. Silver was down 0.6 percent at $15.77 an ounce, having briefly touched a three-month low of $15.50. Platinum was down 0.5 percent at $1,075.99 an ounce, while palladium was up 0.1 percent at $678.22 an ounce. “The industrial demand is light and there’s a lot of recycling,” the U.S. trader said, noting chart-based weakness as well. Palladium fell to a two-year low at $666.82 in earlier trade and fell for the seventh straight week.